If you are a rideshare driver or are planning to become one, ensuring your own safety and the cost of your vehicle in the event of accidents or any other damage is paramount. Drivers with cab aggregators like Uber and Lyft are often covered by insurance. In addition, different states have their own laws covering rideshare drivers. Drivers for Uber or Lyft are treated as independent contractors, both by the company and by insurance providers. As such, there are some tricky rules which come into play when coverage for these types of drivers is being considered. Since the emergence of rideshare companies, the blurry space between two trips – like when a driver is available for requests but hasn’t accepted a call yet – has been a cause for concern. Because of the uncertain nature of this period where you are driving and looking for trip requests, but are not technically “on the job”, many insurance providers have started dropping personal insurance policies of rideshare drivers if accidents take place during working hours. Therefore, it becomes imperative to be aware of the nitty-gritty of insurance available to you as a rideshare driver, to avoid any difficult situations on your job. Rideshare insurance covers the liability of drivers using ridesharing services like Uber, Lyft, and others. It is a comparatively new concept which is as recent as ridesharing services themselves. Until quite recently, insurance was not offered to rideshare drivers. Previously, if you had an accident between trips, the rideshare company would assume no responsibility for the damages, and your personal insurer would not cover the damages because you found yourself in an accident at your workplace, so to speak. Accidents at the workplace would fall within the purview of commercial regulations, and therefore you are practically uninsured while you drive without a passenger. It was after an accident in 2014 where a six-year-old girl was killed by a car driven by an Uber driver in San Francisco, which the legitimacy and the regulations governing ridesharing agencies were brought into question. Since then, the companies, several major insurance companies have begun to offer insurance coverage for drivers employed by these companies. Do You NEED a Rideshare Insurance Policy? Drivers for Lyft and Uber are treated as independent contractors. This means while the company does not employ you full time, you are offering your services to them on a temporary basis in return for a predetermined compensation. In such a scenario, if your car is involved in an accident, your personal insurance is either not valid, or not sufficient to cover the losses. Although the company you work with provides some coverage while you are driving, when you are driving between two trips, you are practically uninsured. If there is a collision which damages your car or injures you during this period, you stand to lose not just money in healthcare and repairs, but also the equipment which helps you make more money. There continues to be a lot of uncertainty about all regulations surrounding ridesharing, and this includes insurance. Drivers are assured of a safety cushion if they have terms regarding insurance for which they require clarification, from the get-go. Who Offers Rideshare Insurance, Then? Rideshare drivers are offered insurance coverage by the companies who employ them, but those are accompanied by many conditions. Personal insurance providers have recently started offering customized policies for rideshare drivers. These policies are basically the general auto insurance policies where an extension of coverage also covers ridesharing. Otherwise, if you do not have an explicitly charted out rideshare insurance, you risk getting your personal insurance coverage dropped in the event of an accident between trips. In addition to the contract-based coverage provided by Uber and Lyft, companies such as Geico, Allstate, Progressive, and Metlife offer specialized rideshare insurance in various states. What Are the Variations in Rideshare Options Available? Rideshare insurance varies according to the stages where it could be applicable. Period 1: When the driver is online but has not, as of the moment, accepted a ride request. Period 2: When the driver is online and the driver has accepted a ride request. He is en route to pick up the passenger, or waiting for the customer to arrive. Period 3: When the driver is online, the trip has started and the customer is in the car. Uber and Lyft, both have a provision for a $1 million liability per incident in Period 2 and Period 3. This is accompanied by a deductible amount for a collision that is $1,000 for Uber and $2,500 for Lyft. Called a collision deductible, this is the amount you are required to pay for repairs, while the company pays for the rest. For Period 1, no collision coverage is provided, but bodily injury is covered with up to $50,000, with claimable amounts up to $100,000 for an accident. This includes any medical costs a passenger traveling with you might also incur. Both these companies also have liability limits of up to $25,000 for property damages. Most insurance policies usually cover eventualities during one or a combination of these periods. Some others offer provisions which complement existing personal and company-provided insurance. A standard commercial policy: Companies such as GEICO offer complete coverage during all the three periods. As Uber and Lyft offer insurance during Periods 2 and 3, you are doubly protected during these two periods. This way, you can lay a claim with either of the two providers, whichever covers your losses better or has lower deductible amounts in case of a collision. This, however, requires drivers to pay a rather heavy monthly premium. Only Period 1 coverage: This essentially bridges the gap between company-provided coverage and personal insurance by covering losses in the tricky space of Period 1. This is usually the best bet for rideshare drivers as it does not demand a hefty premium, unlike regular commercial providers. Farmers Insurance and USAA are two such insurance providers. Rideshare-friendly policies: These are like a regular personal automobile policy. But unlike a regular personal policy, they do not lapse if you disclose that you are a rideshare driver. How Is Rideshare Insurance Dealt with in Different States? This essentially forces the likes of Uber to offer liability coverage, but the collision is still not covered. Primary liability includes damages inflicted on public property or the other parties involved in an accident. However, as any such incident usually isn’t without a collision – and hence damages to your own vehicle as well – the coverage offered by the rideshare companies doesn’t do much in the way of covering all the expenses incurred. Rideshare insurance is not available in all states, but with the steep uptake of Uber, Lyft, and other taxi aggregators, state regulations are being modified to accommodate this new space in infrastructure. What Should You Look for While Choosing a Rideshare Insurance Provider? You are now aware driving for a rideshare without protecting your physical and financial well-being with insurance is not a risk worth taking. It is especially during Period 1 that you need to have a safety net. You should note even within a few broad categories, all insurance policies are not created equal. There are a number of factors which influence the kind of insurance, you as a rideshare driver, are eligible for and the policy that you should effectively spend your money on. Insurance rates are usually lower for more sturdily built vehicles. Sedans and more expensive models translate to higher insurance premiums, mainly because of the higher costs associated with repair and replacement for these models. Insurance companies also fix a premium based on the history of a specific model in the automobile industry with regards to its performance and even criminal records that indicate the probability of a certain type of car being stolen. You should have a very clear idea of what different terms of insurance mean before choosing to pay for a particular policy. For instance, a policy offering limited liability would cover only partial losses to property or the other party involved. You might have to bear medical and vehicular repair costs out of your own pocket. Ensure you have checked your state laws for any provisions on ridesharing. If not, you have no option but to purchase a commercial automobile policy. It is necessary to invest some time in research because given the recency of this profession, even your insurance agent might not be fully aware of the regulations in place and you could probably end up paying a higher premium than what is required. The best bet while choosing a rideshare policy is to identify the gaps in your existing insurance portfolio, that is, what areas or eventualities are not covered by either your rideshare company or your personal insurance. Once you recognize the periods, the events and the possible amount you might have to claim, the next step is to choose a policy which offers sufficient coverage for an optimum balance of premium amount and deductibles. The ideal policy would be one which does not demand an exorbitant premium or a very high collision/comprehensive deductible and covers you throughout the three periods of rideshare driving. How Much Will Rideshare Insurance Cost Me? The average commercial policy for a passenger car costs between $1,200 to $2,400 a year, on average. A specialized rideshare insurance policy could vary anywhere between 1.5 times to 10 times this amount, based on what combination of offerings you choose. On the other hand, there also exist cheaper options with premium amounts just under $10 a month. If the company coverage is sufficient for your vehicle, the Period 1 claims can be covered by low-premium policies. Drivers should be cautious, however, of giving in to the temptation of cheap premiums, because you can never be prepared enough for any incidents in traffic; and if your insurance cover is too narrow, you will end up with very heavy losses. A more old-fashioned approach is self-insurance. Keeping some savings apart for accidents would allow you a financial cushion to fall back upon if commercial automobile insurance is too expensive and the rideshare company does not provide complete coverage. This approach, however, demands diligence and the funds need to accrue for a considerable length of time before they can be substantial enough to cover any losses. With the burgeoning rideshare economy, the necessity of clearly defined provisions for rideshare insurance is also being felt. State laws are rather slow on the uptake in this area, while some insurance companies have picked up on the trend and have begun offering specialized rideshare insurance policies for Uber and Lyft drivers. Drivers should be aware as the sector is relatively new, the regulations have to be flexible to respond to its unanticipated demands and hence, the laws are prone to change. They should, therefore, keep themselves updated with the latest provisions and ensure that the policy (or policies) they have chosen offers them coverage at all times while at work. NOTE: A number of personal insurance providers tend to drop your insurance if you disclose that you are an Uber/Lyft driver. These terms should be clarified with your insurer and keeping your employment with a rideshare under wraps is not advisable. Standard commercial car policies are priced rather prohibitively and would not cover for losses outside of work. The coverage offered by rideshare companies is generally sufficient, but it is also accompanied by hefty deductibles. 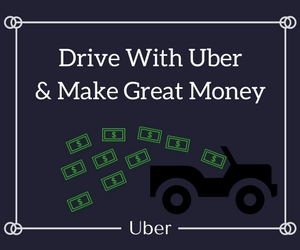 Hence, rideshare drivers would fare the best by choosing a hybrid insurance plan which combines provisions of rideshare-friendly policies with company-offered coverage and claim for the coverage that best compensates for their losses.